I loved every second of this action packed shoot. Why? Well apart from the magnificent sunset, the family hardly noticed I was there. For me this is the definition of a perfect shoot. It was only during editing that I really got a chance to see the boys beautiful little faces properly for the first time. On the actual day in real time, they were moving so fast that I only saw the backs of their heads as they ran. Luckily I keep my shutter speed set to super speedy, capturing little people faster than I can see. These little boys ran, kicked, climbed and scrambled, not stopping for a second. Parents often panic that their children will ‘misbehave’ during a shoot. Well to be honest after raising my two raucous children, quite frankly I expect children to ‘misbehave’. Run, be wild, be free. They are not designed to be still, so why photograph them unmoving and posed? During a typical shoot I try to spend the first 10 minutes doing the more standard group photographs while I still have the children (and Dad’s!) attention. I have a small confessions: this is my least favourite part of the shoot. I chuckled to myself when I asked this family to stand together at the start of the shoot. They looked slightly horrified at the idea, and I knew then that we were onto something good. Don't get me wrong, I do believe there is a place for the posed group family shot. We all want one, and it has it’s place. Mostly to gather dust on granny’s mantlepiece. 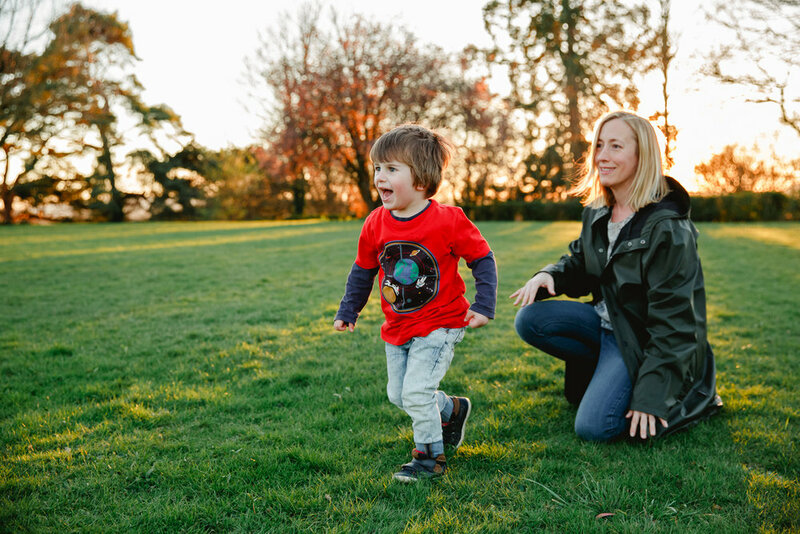 For me documenting real family life lies in the images that celebrate children as they really are, and that is all about capturing movement, connection, joy, delight, surprise and oodles and oodles of love.